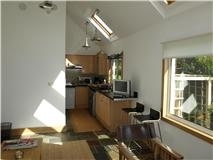 Holiday let: This property is let on the understanding that it is to be used as a holiday let. It therefore is subject to Section 12(2) and paragraph 8 of Schedule 4 of the Housing (Scotland) Act 1988. Prices and payment: Prices for 2012 are fully inclusive. The prices are fixed in sterling and payment in that currency may be made in cash, by cheque, by postal order or by PayPal. PayPal payment may incur an additional charge. The price includes all utilities (electricity) used as well as the supply of bed linen and towels and includes VAT at the current rate (20%). Confirmation of reservation: Upon receipt of the booking form and deposit, we will send you a confirmation invoice. This is our formal acceptance of booking. Please check the details and inform us of any inaccuracies. It is understood that the person making the booking will be deemed to act on behalf of all members of the party. We regret that deposits are non-returnable. We recommend that you have health and holiday insurance at time of booking, which should include loss of deposit through cancellation. Final payment: Details for the final payment will appear on your invoice and the balance must be paid in full not later than six weeks before the first day of the booking. If the balance is not received by us by this time we will be entitled to cancel the booking without prejudice to our claim for cancellation charges. For bookings made within six weeks of the start of your holiday, the full cost of the holiday should be paid at the time of booking. Arrival/departure times: In order that the property can be thoroughly cleaned and inspected between bookings, bookings commence at 4pm on the date of arrival until 10am on the date of departure unless specifically agreed with us prior to arrival. It is most helpful if you are able to advise us in advance of your approximate time of arrival. Cancellation: If you wish to cancel a booking, you should advise us by telephone and confirm the cancellation in writing, which should be signed by the same person who signed the booking form. Cancellation will take effect on receipt of written confirmation sent by post. In all cases of cancellation the deposit will be forfeit. If the cancellation takes effect after the final payment is due, you are liable for the full cost of your holiday. We will, however, use our best endeavours to re-let and if successful will refund the cost of the holiday less the deposit and costs incurred. - 60 days or more prior to arrival a 50% refund will be given. - 42 days or less prior to arrival no refund will be given. In the event of us cancelling your booking, a full refund will be given. General: The accommodation is furnished and equipped for holiday/short-term use and it will not accommodate more than the stated number of beds. Only persons stated on the booking form are allowed to sleep in the accommodation and the number of people occupying the premises must not exceed the number stated at time of booking. You are not permitted to sub-let the property (or any part of the property). You must vacate the premises without demand on the agreed departure date and at the agreed time. It is appreciated if tenants take good care of the property and leave it in good order, as found. You agree to pay us to cover any loss or damage caused (beyond general wear and tear). At all times the property must be kept in a clean and tidy condition. We may charge you for any unreasonable amount of cleaning required after your stay. The named person responsible for the initial booking will be held responsible for any breakages or damages. You agree to prevent any party members from causing a nuisance or disturbance to other residents/neighbours. You agree that the property will be secured when unoccupied during your stay. You agree that we and/or our agents will be allowed access to the property if required. If we reasonably believe that any damage is likely to be caused, has been caused or is being caused by you or any member of your party to the property including to any fixtures, fittings, furnishings and decoration or that any illegal activity or any activity of a commercial nature whether or not illegal has been, is being or is likely to be carried on by you or any member of your party at the property or if any party is held at the property by you or any member of your party we may at our sole discretion refuse to hand over keys and/or repossess the property. These circumstances will be treated as a cancellation by you. 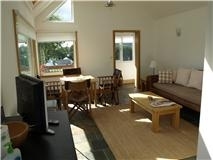 We have a no smoking policy for this property and guests are expected to respect this provision of booking. Although we take every reasonable care to ensure that nothing untoward occurs during your stay we cannot be held liable for any injury, loss, accident, delay, inconvenience or irregularity arising, howsoever caused. We (including the property owners, managers and agents) accept no responsibility for loss, injury or damage to any member of your party nor for any accident, delay, inconvenience or irregularity arising, howsoever caused. We take no responsibility for any damage or injury however caused by you or any member of your party whilst you stay at the property. We recommend obtaining personal holiday insurance to cover any potential losses. A security/housekeeping deposit is payable in cash on or before arrival and will be refunded within two weeks after departure provided the property and all furniture and furnishings are left as found. The amount of the security/housekeeping deposit will depend on the length of your stay and will be intimated to you at the time of booking.